Russia launched a Progress resupply mission Tuesday heading for the International Space Station with more than 6,000 pounds of fuel, supplies and experiments to support the lab’s six-person crew, and the automated cargo craft sailed to a smooth link-up with the complex less than six hours later. A Soyuz rocket blasted off from the Baikonur Cosmodrome in Kazakhstan at 1100:17 GMT (6:00:17 a.m. EST), or 5 p.m. local time at the Central Asia space base. The three-stage launcher burned a mixture of kerosene and liquid oxygen as it powered into orbit with the Progress M-26M supply ship. After disappearing into low clouds about 20 seconds after liftoff, the Soyuz rocket shed four liquid-fueled strap-on boosters, jettisoned a protective shroud covering the Progress payload, then released its main core stage. The launcher’s upper stage deployed the 16,065-pound Progress cargo freighter into orbit less than nine minutes into the mission. The Progress M-26M spacecraft completed pre-programmed commands to extend its power-generating solar panels and navigation antennas moments later, according to Rob Navias, a NASA spokesperson. 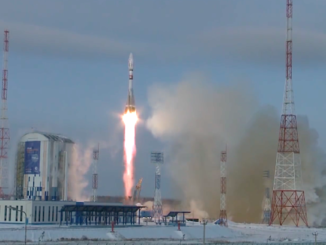 “A perfect launch, and a perfect ascent to its preliminary orbit for the Progress (M-26M) cargo ship,” Navias said in NASA TV’s broadcast of the launch. 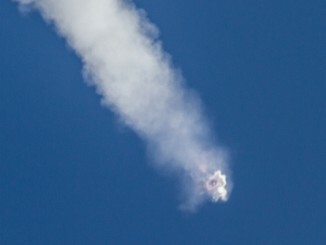 The spacecraft entered an on-target orbit with a low point of about 120 miles and a high point of 153 miles, with a ground track tilted at an angle of 51.65 degrees to the equator, according to a post-launch statement released by RSC Energia, Russia’s prime contractor for space station operations. The Progress resupply ship — known as Progress 58P in the space station’s official flight manifest — to executed a series of rocket burns to adjust its path toward the complex. 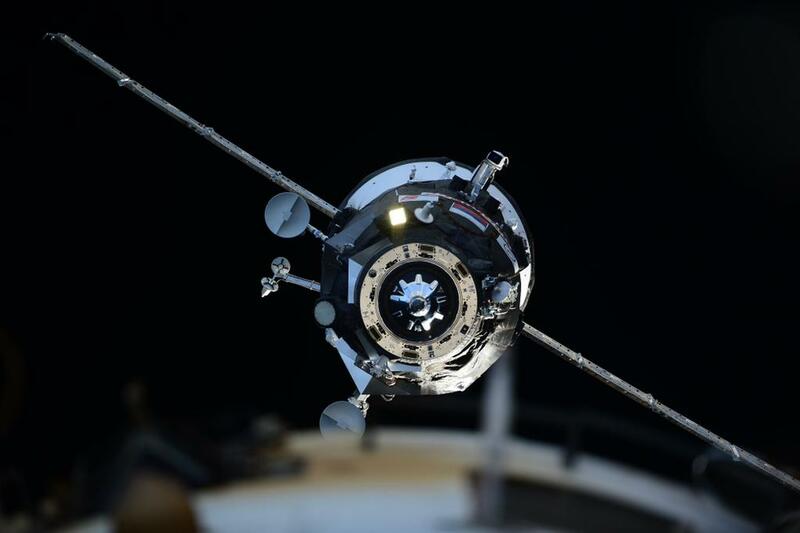 On a final approach guided with data from a Kurs rendezvous radar, the Progress spacecraft lined up with the space station’s aft docking port on the Zvezda service module, where it docked at 1657 GMT (11:57 a.m. EST), five hours and 57 minutes after liftoff. The link-up occurred 257 miles over the Atlantic Ocean northeast of Puerto Rico. Cosmonauts on the space station were ready to take over manual control of the supply ship if there were problems with its autopilot system. The fast-track rendezvous required precise timing of the Soyuz rocket’s launch from Baiknour, which occurred a few minutes after the space station passed directly overhead the historic launch base in Kazakhstan. 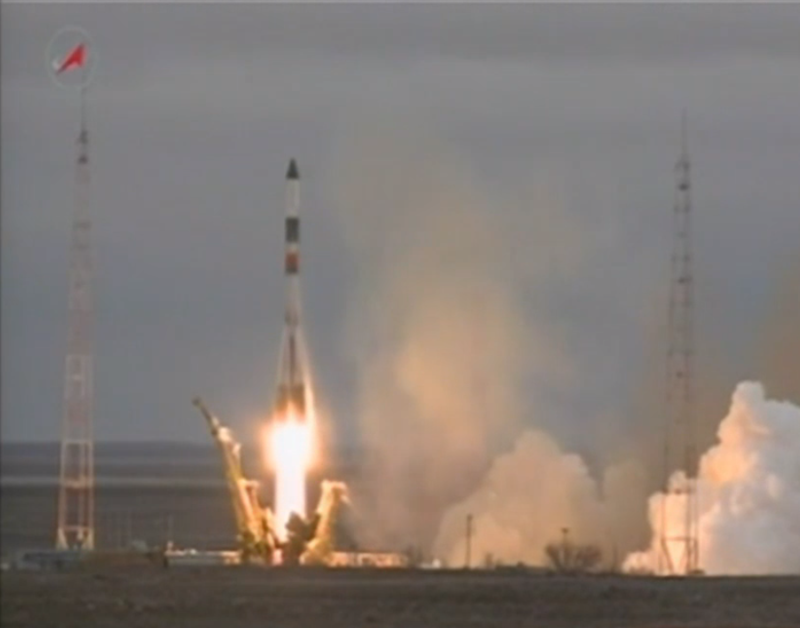 The Progress M-26M spacecraft delivered 3.1 tons of cargo, rocket propellant, water and oxygen to the space station. 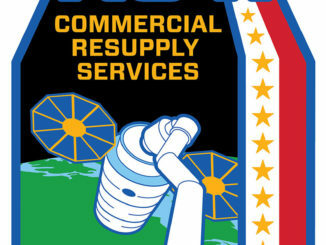 The Progress M-26M mission also delivered 306 pounds of U.S. cargo for the space station crew. The space station also received about 925 pounds of fresh water and 110 pounds of oxygen carried aboard the Progress M-26M spacecraft.